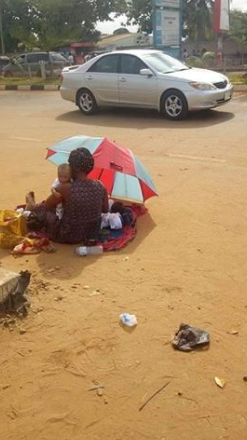 ”This morning at Summit junction by Rainoil Petrol Station In Asaba, Delta State, this woman with triplets (newly born) is seen begging for survival and food to feed these triplets. It is pathetic to hear her story. It is not her fault to go into a relationship which she prayed to lead to marriage but alas the man decided to abscond on hearing of the pregnancy and expecting triplets. Amanda (the lady’s name) could have decided to abort these babies but God had other plans and so she put to bed three children (2 boys and a girl). 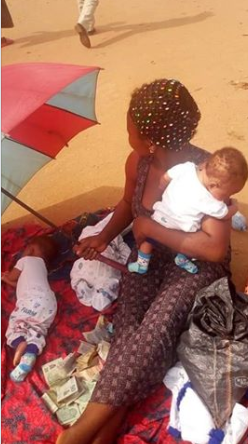 Please let’s spread this post to help save the lives of these triplets.